What does Opera display in terms of ion beam statistics? When it comes to evaluating the statistics of an ion beam, the starting point is usually a patch placed across the beam at some user-defined location. Standard tools in the Post-Processor can then extract intersection data, such as the current and velocity components of each intersecting trajectory and the number and current densities. From these, simple additional computations can generate beam metrics, including the moments, emittance and phase space. Why are charged particle solutions iterative? The beamlet space charge affects the electric field distribution and may also affect the current in the beamlets. A consistent voltage, current and space charge distribution is required and this is calculated by an iteration that updates the space charge distribution, recalculates the electric fields and then the beamlet trajectories. Can Opera model Magnetron Sputtering? Opera combines accurate finite element analysis with detailed models for plasma, sputtering, and film deposition to provide the first practical tools for magnetron design and optimization. 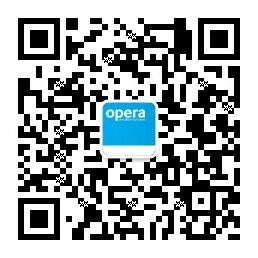 Opera can be used to predict target erosion and to optimize utilization. It can accurately characterize the design of magnet systems, including multi-target coaters, and it can predict deposited film profiles and the deposition dynamics. What is meant by Secondary Emission? Can Opera calculate the temperature rise due to the impact of kinetic charged particles onto a surface? Opera is multiphysics software, so the heat generated due to the particle beam can be passed seamlessly to Opera’s thermal module to calculate the resultant temperature rise.